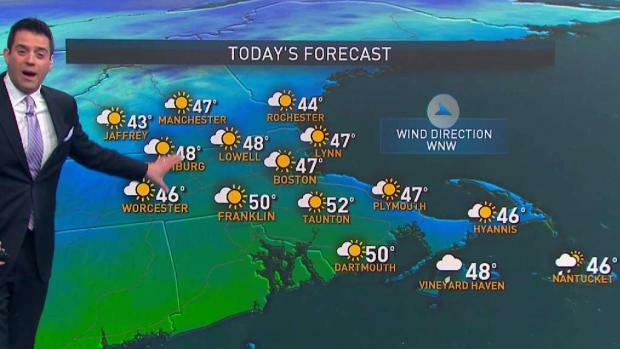 Monday: A period of clouds to mostly sunny sky. Highs in the 40s for most. Overnight Monday Night: Clear and cold. Lows in the 20s. Tuesday: Bright and brisk. Highs in the 40s. 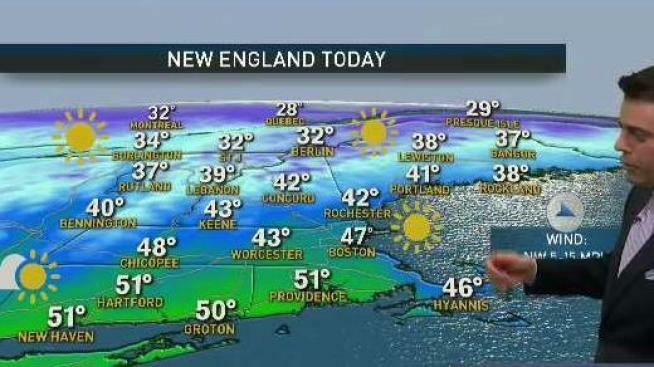 In central and southern New England, temperatures could very well overachieve without snow on the ground and some late March sun. When all is said and done, we could see six dry days in a row. Temperatures will begin to moderate going into the end of the week. Tuesday and Wednesday will be seasonably chilly. Thursday, temperatures will start to rebound. High temperatures will reach the mid 50s. Our warm stretch of weather will peak Friday through Sunday. High temperatures, conservatively, will reach the 60s. It’s possible that we could see low 70s away from the coast. Unsettled weather will return by the weekend. Even though it will be warm, it could be showery. At this point it doesn’t look like we will see any significant rain across the region. Even after our warmest air retreats, we will likely maintain 50°+ through Wednesday of the following week. It looks like winter is certainly on its way out.